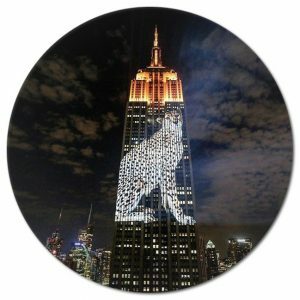 To The Moon is a Los Angeles based VR and AR Company that provides 3D Projection Mapping services to clients across the globe. Whether you need an awe-inspiring backdrop for the entrance to a convention or live music event, To The Moon can create visually stunning 3D imagery for any occasion. Our 3D Projection Mapping content and technique takes the onlooker out of this reality and into a world of imagination where anything is possible. With the rise of Virtual Reality, Augmented Reality and the use of VR Domes for simulation and immersive experiences, 3D Projection Mapping is an amazing way to easily and quickly alter environments to suit the mood of your event our intended backdrop. Both musical acts and performance artists use 3D Projection Mapping to enhance stage shows and morph the perceived world into the otherworldly. Whereas businesses have turned to 3D digital mapping installations to bring attention to their storefront or to market their product at trade shows. The possibilities are endless. To The Moon has a talented 3D content creative department that works to mold the ideas of the client into a 3D digital design that can be projected on any surface, big or small. These 3D projected images can be animated or can be a still installation. From buildings to stages, walls, to marquees, To The Moon has the technology and the creative wisdom to bring your vision to life, literally. Turn everyday surfaces, structures, floors, and places into new opportunities for engagement through striking 3D Projection Mapping and creative digital content. What is 3D Projection Mapping and Projected Digital Content? 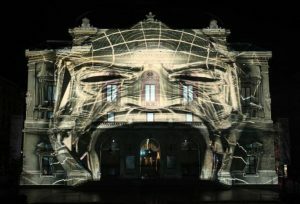 3D Projection Mapping is the art of projecting 3D imagery on uncoventional surfaces and locations, in surprising ways. From blending and altering images to 3D mapping onto moving surfaces, To The Moon has a team of 3D designers that can make any concept or idea come to life. 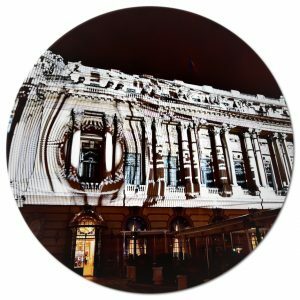 We use the most cutting-edge 3D technology and projecting techniques to bring our clients the very latest in 3D Projection Mapping services. They say a picture is worth a thousand words, and while that may be true, with the increasing presence of 3D digital content, still images don’t quite do the trick anymore. 3D Digital Content can morph practical images into augmented versions of the real thing, creating an almost impossible to pass up visual experience that takes the viewer on a ride into the imagination. If you are thinking that 3D Projection Mapping is outside of your budget, it isn’t. Our team manages to bring incredible 3D effects that had previously only been available to top tier events, to any size event, large or small. 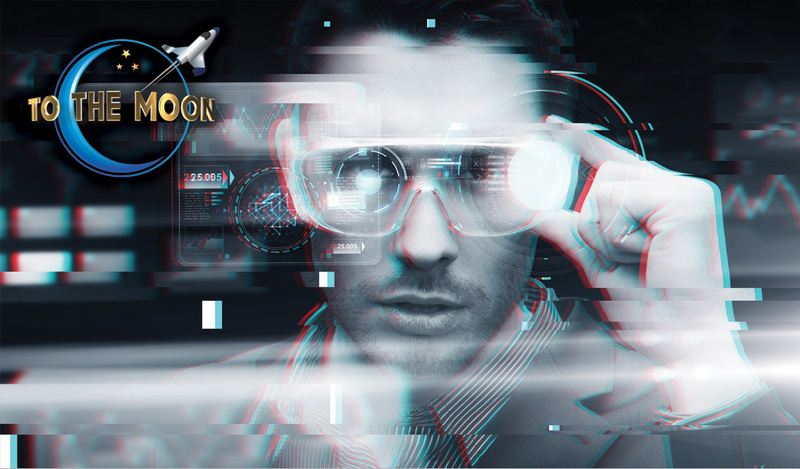 To The Moon has positioned itself as the leading 3D digital content company that has assisted business owners, event promoters and corporations in furthering their brand and presence. It is increasingly difficult to hold the attention of potential customers and capture the minds of onlookers, but 3D Projection Mapping does exactly that, and in unforgettable ways. The possibilities are endless and expand daily. Whether you are seeking our services to offer customers a unique shopping experience, aiming to throw an event that provides stunning visual effects, or you would like to really take your brand to the next level at a trade show or convention, To The Moon can make your presence known and bring your vision to the masses in ways that are unimaginable. We are here every step of the way, from concept to execution. This is a collaborative effort. Set up a consultation to discuss the scope, aesthetic and emotions you wish to convey with your 3D Projection Mapping and 3D Content Creation. To The Moon is here to brainstorm with you, grow with you and build your ideal 3D world.